50 high qualified engineers located in our office and directly in factories to ensure the strict respect of industrial standards such as ISO, VDA 6.3, AS, IPC, UL,... As well as supply chain criteria. Our own laboratory provides support for a professional expertise. 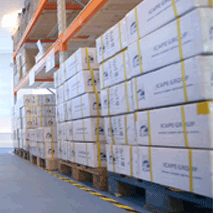 ICAPE Group reaches the highest quality level to fulfill all the industrial standards. Our service office has been ISO certified since its creation. We engage in a process of continuous improvement, may it be regarding our customers' performance, the respect for ethics or the management of our partnering factories. We implement our quality system at all levels ensuring the best services. To provide our expert services we have implemented an ultra-modern facility in the heart of the electronics industry in the south of China. Our expert services include engineering, quality assurance, inspection, logistics, quotations, purchasing and sourcing. Our organization is certified ISO 9001: 2015 to meet current PCB and Technical Part needs. 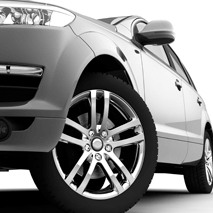 VDA 6.3 (Automobile manufacturers Association) is a quality specific audit for the automotive sector. VDA 6.3 defines a process based audit standard for evaluating and improving controls in a manufacturing organization’s processes. ICAPE Group provides information on the significance and application scope of a process audit over the entire product realization cycle in both manufacturing and services. It is a risk assessment based approach. Our extensive network of factories is certified and qualified by our service department. Most of our suppliers are IS0 9001, ISO TS 16949, ISP 13485 or AS9100 certified, while respecting environmental and ethical standards. Our supplier matrix is regularly updated to clearly implement our strategy in that field. We are constantly evaluating our factories partners to provide you the best quality and services. Customers' data are checked by our engineers according to industrial standards as well as IPC (Association Connecting Electronics Industries), ISO (International Organization for Standardization) criteria. Delivery documents as COC (Certificat of Comformity), PPAP (Production Part Approval Process), UL (American Safety), RoHs (Restriction of Hazardous Substances) & IMDS (International Materias Data System) certificates. Our engineering department analyzes all your technical data professionally, translates them and if necessary proposes corrections and validation before starting production. 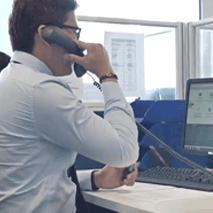 To ensure that all your technical specifications are clearly understood, assimilated and implemented, our engineers work directly and in their native language with our supplier partners. We check all COC or PPAP samples and shipping documents before delivery. Annual quality audit and day after day monitoring according to ISO 9001 V 2015. We support you during your product qualification in the factories selected. Our quality assurance department conducts professional audits at the production sites of our supplier partners. These quality audits are carried out annually with detailed reports, ratings and corrective action plans. Our permanent presence at our partners-suppliers allows us to follow and anticipate any evolution of the means of production. We carry out mini-audits and offer you a PCN (Process Control Network). Our system integrates inspectors based on production sites. 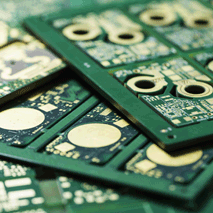 We inspect your PCBs before shipping and following the AQL 0.65 Level II sampling rule. Inspection reports allow us to know in real time what their performance levels are. We manage your quality claims and make sure that corrective actions are in place and effective. Thanks to to our proximity to our partnering factories,, we can immediately intervene with them to set up emergency countermeasures as soon as possible. We reply within 2 days for 3D and 5 days for 8D. This system incorporates analytical and statistical management of each of our partnering factories. Our quality indicators allow us to prevent any drift. If necessary, our process and quality assurance engineers immediately implement a mini-audit and the corrective actions necessary to regain a normal situation. A period of monitoring by tightening the inspection level corroborates the effectiveness of corrective actions. Our laboratory allows us to have a better reactivity and independence. 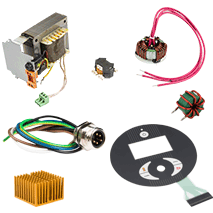 We continually check the compliance of your PCBs and we bring you a complete expertise. 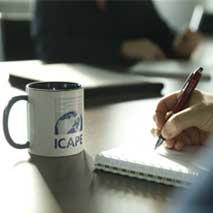 ICAPE Group has developed ethical conduct for its employees and partners. 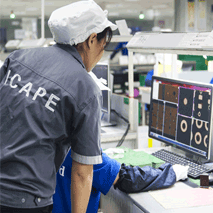 ICAPE Group carries out ethical audits in factories in China, ensuring that all our partners comply with rules in the field of labor law, environment, safety, human beings and Chinese laws.